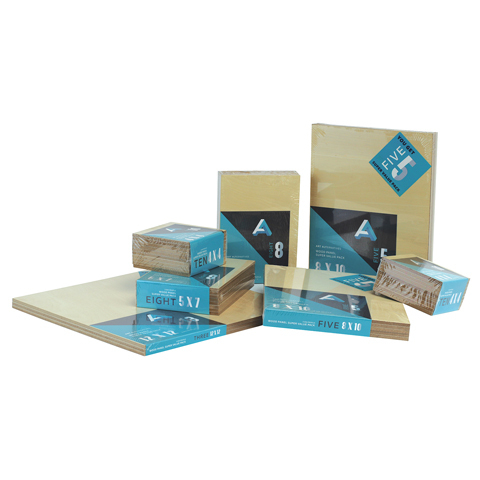 These value-priced, super value packs of double-sided, uncradled wood panels allow artists to bring the strength and beauty of wood into their work for a fraction of the cost of a heavier cradled wood panel. The smooth birch wood surface is great for traditional painting and drawing, as well as mounting, mixed media work, encaustic, model making and craft use, while the 5mm MDF core adds strength and resists warping. The number of panels per pack varies by size.